One of the important trends in an intelligent data analysis will be the growing importance of data processing. 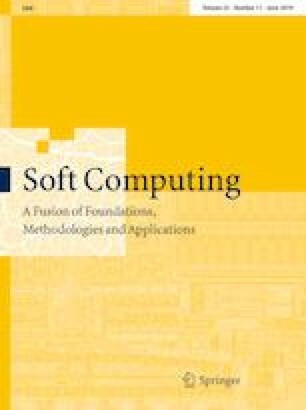 But this point faces problems similar to those of data mining (i.e., high-dimensional data, missing value imputation and data integration); one of the challenges in estimation missing value methods is how to select the optimal number of nearest neighbors of those values. This paper, attempting to search the capability of building a novel tool to estimate missing values of various datasets called developed random forest and local least squares (DRFLLS). By developing random forest algorithm, seven categories of similarity measures were defined. These categories are person similarity coefficient, simple similarity, and fuzzy similarity (M1, M2, M3, M4 and M5). They are sufficient to estimate the optimal number of neighborhoods of missing values in this application. Hereafter, local least squares (LLS) has been used to estimate the missing values. Imputation accuracy can be measured in different ways: Pearson correlation (PC) and NRMSE. Then, the optimal number of neighborhoods is associated with the highest value of PC and a smaller value of NRMSE. The experimental results were carried out on six datasets obtained from different disciplines, and DRFLLS proves the dataset which has a small rate of missing values gave the best estimation to the number of nearest neighbors by DRFPC and in the second degree by DRFFSM1 when r = 4, while if the dataset has high rate of missing values, then it gave the best estimation to number of nearest neighbors by DRFFSM5 and in the second degree by DRFFSM3. After that, the missing value was estimated by LLS, and the results accuracy was measured by NRMSE and Pearson correlation. The smallest value of NRMSE for a given dataset is corresponding to DRF correlation function which is a better function for a given dataset. The highest value of PC for a given dataset is corresponding to DRF correlation function which is a better function for a given dataset.